A royal Easter Egg of imperial provenance crafted by Breguet. 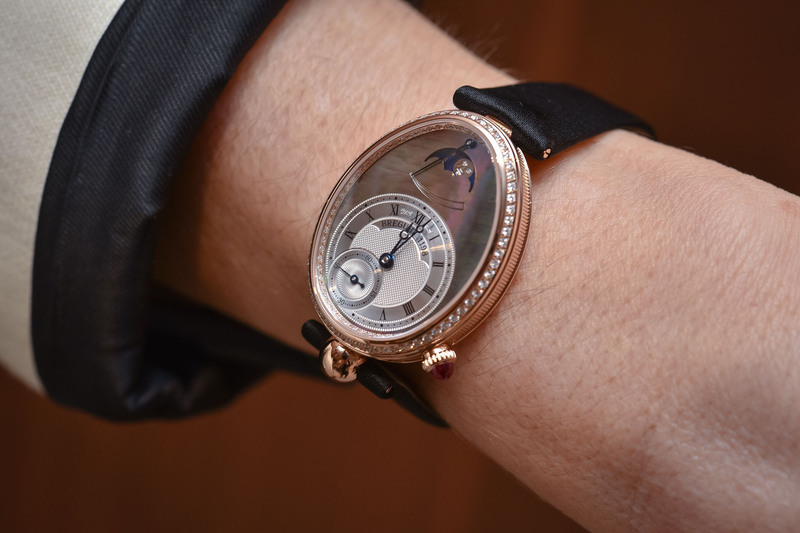 During our meeting with Breguet at Baselworld 2018, the brand pointed out that Breguet’s women’s watches account for a full 40% of the brand’s sales and that one of the current best-sellers worldwide is the Reine de Naples Ref. 8918 of 2017. 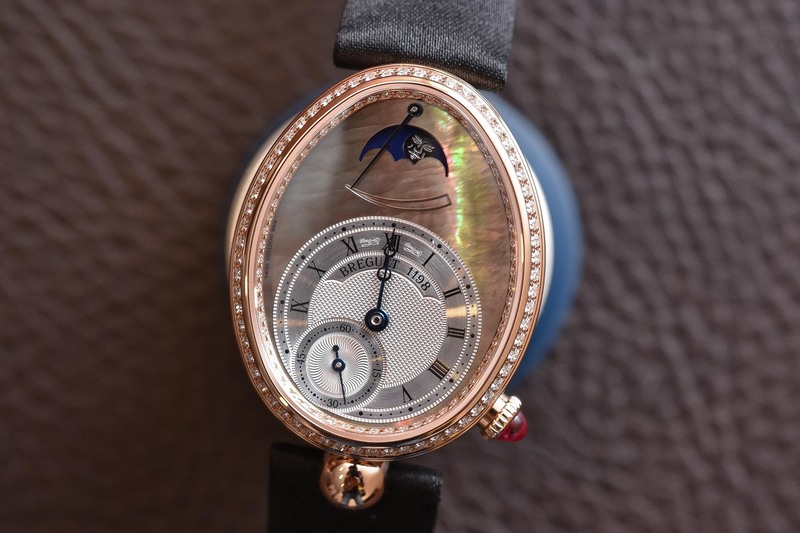 The goose that lays the golden eggs at Breguet is the Reine de Naples watch, the distinctive egg-shaped watch that has appeared in countless jewellery variations since its debut in 2002. Revisited this year with Ref. 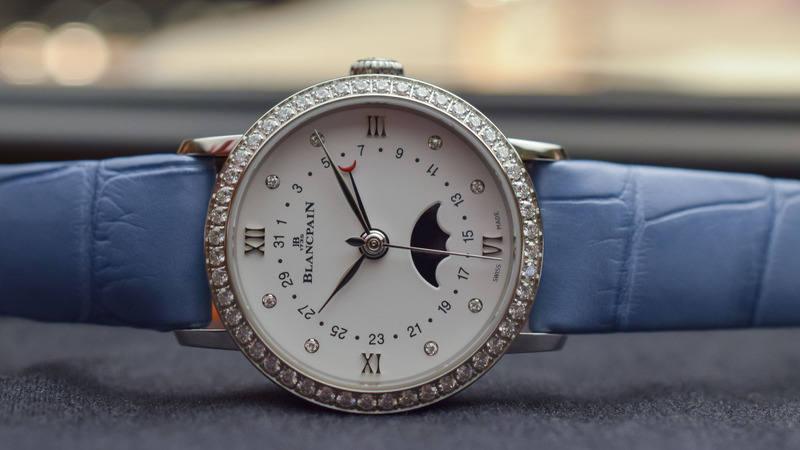 8908, this Reine de Naples automatic ladies’ model is housed in an 18k rose gold case set with diamonds and features a dreamy Tahitian mother-of-pearl dial, a moon phase complication, and a power reserve indicator. Abraham-Louis Breguet enjoyed the custom of France’s royalty and aristocracy and his celebrity client list included Queen Marie Antoinette, Empress Josephine, and Caroline Murat, Napoleon Bonaparte’s sister and Queen of Naples. 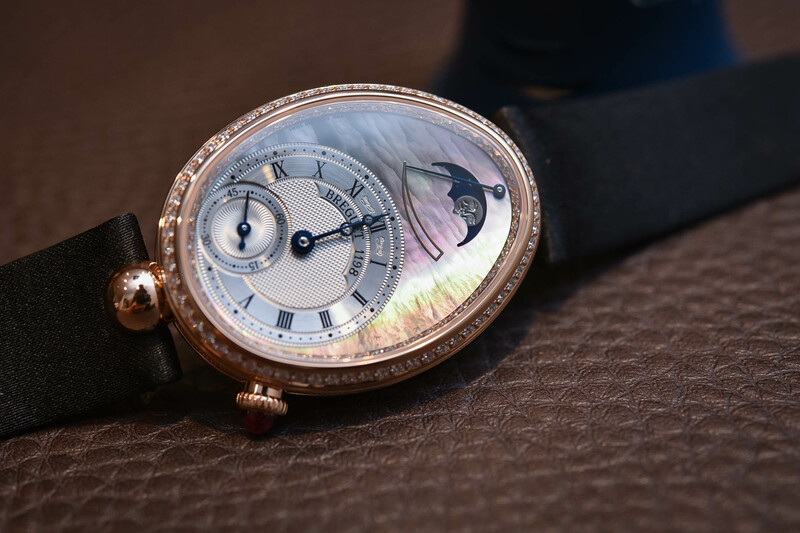 As the leading watchmaker of the day – and considered one of the greatest horologists of all time – Breguet’s clients wanted the very latest watchmaking fireworks and Caroline Murat was no exception. 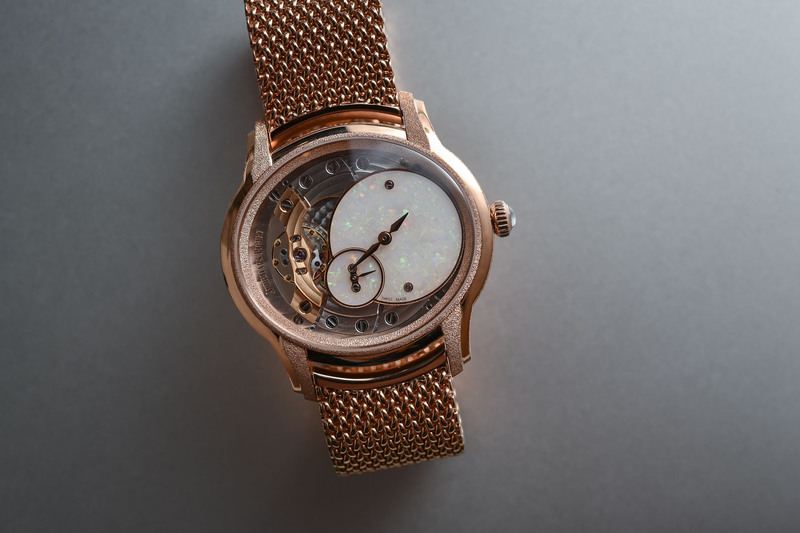 Considered to be one of the first examples of a wristwatch, Breguet’s 1812 “oblong-shaped repeater watch”, commissioned by the Queen of Naples, was fitted with a dainty wristlet. 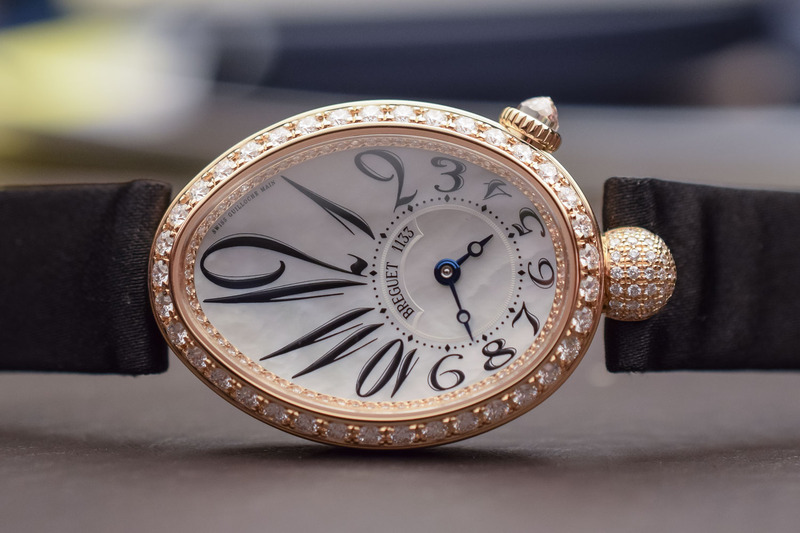 Relying on historical descriptions of the original stored in the Breguet Museum on Place Vendôme, Breguet launched the Reine de Naples collection back in 2002, with its distinctive egg-shaped case. Caroline Murat’s timepiece was a dizzying technological masterpiece and was equipped with a repeater mechanism, a fast/slow indicator, a thermometer and an engine-turned silver dial. 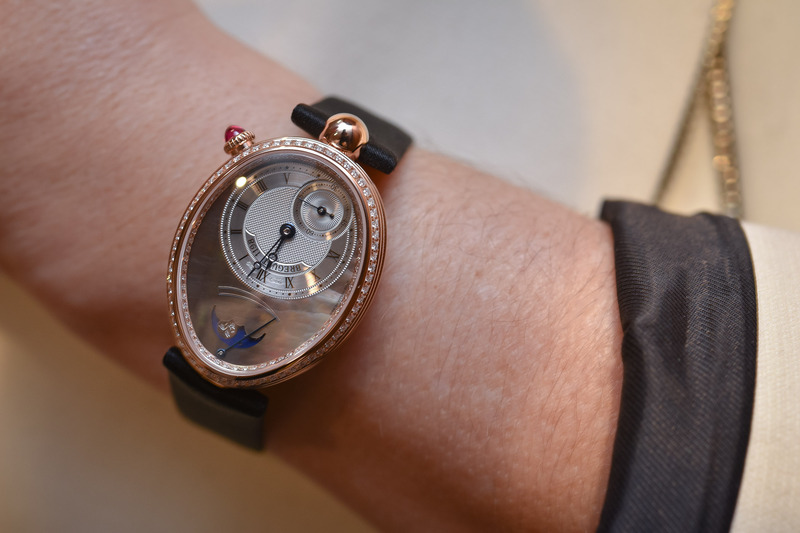 Although there are no surviving illustrations of Caroline Murat’s watch, the new Ref. 8908 emulates the layout of her illustrious ancestor with moon phase functions and a power reserve indicator and the classic engine-turned silver dial we all associate with Breguet. The elegant ovoid case measures 36.50 x 28.54mm (which in the Reine de Naples family is considered a Medium size case) and has a reassuring weight, touch and presence that can only come from gold. The delicately fluted case band is a hallmark of Breguet watches, and the bezel and dial flange are set with 128 brilliant-cut diamonds for a touch of elegant sparkle. Like all her sisters, Ref. 8908 features a cabochon ruby in the crown and the distinctive round-shaped attachment that embraces the strap at 6 o’clock. Viewing the watch in different light conditions, the iridescent Tahitian mother-of-pearl used on the dial alternates between a warm champagne hue to a richer and darker greeny-pinky-chocolatey brown. 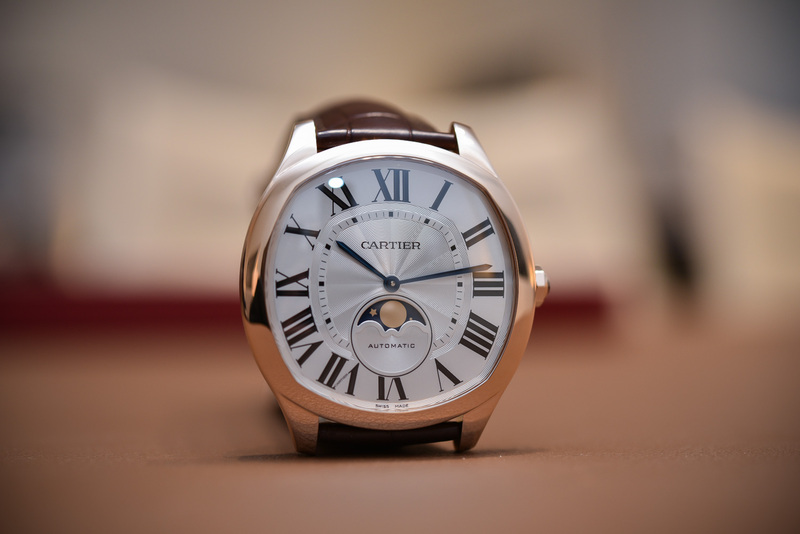 Displayed in a crescent-shaped aperture, the moon phase indicator at 12 o’clock is swept over by a blued hand to indicate the power reserve. Both the off-centred hours and minutes counter and the intersecting small seconds are decorated in traditional Breguet style with an engine-turned finish executed by hand on a gold dial plate and then coated with silver. Two different engine-turned finishes are featured in the counters and the hours, minutes and seconds are indicated by blued hands. If you look closely at the area between the Roman numerals at 11 and 1 o’clock, you will notice two tiny scribbles. They are, in fact, a secret signature devised by Breguet in 1795 to deal with counterfeiters. Etched into the dial, Breguet’s signature is practically invisible to the naked eye but is still considered a token of authenticity today along with the unique production number of the watch, situated in pride of place on the dial. 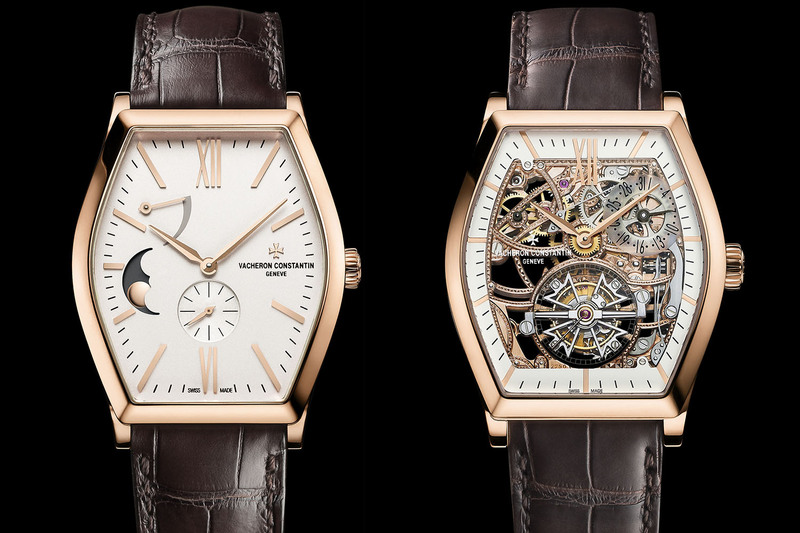 Equipped with the self-winding in-house calibre 537, the movement has a power reserve of 45 hours and oscillates at 3.5Hz. 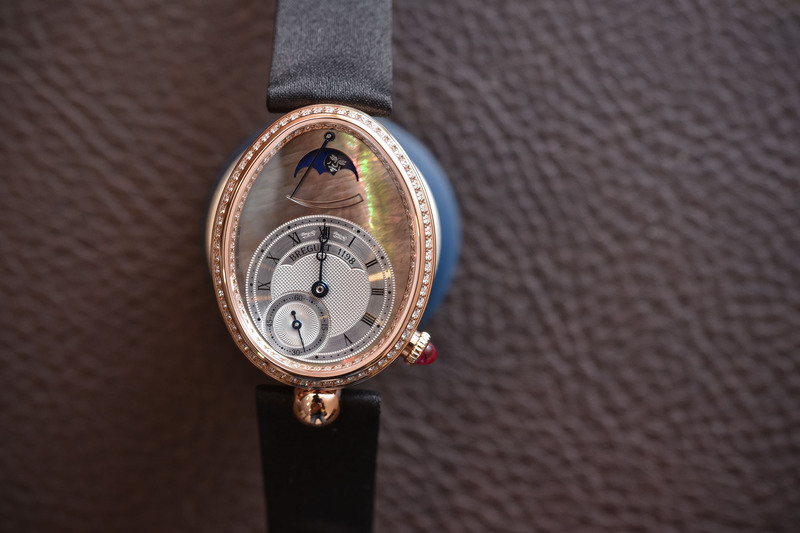 A sapphire crystal on the case back reveals the round movement complete with a Breguet balance wheel and a contemporary balance spring in silicon. 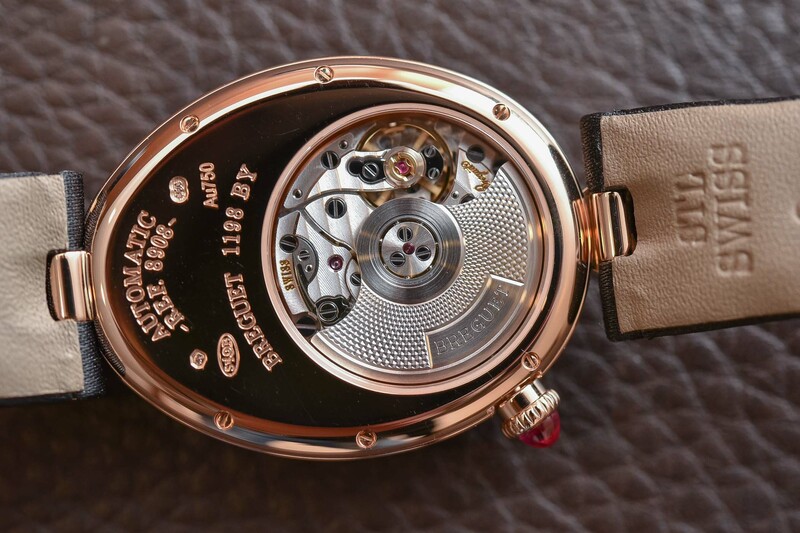 And, as is the case with all Reine de Naples watches, the movement is also individually signed and numbered. Available on a black satin strap with a diamond-set folding clasp for EUR 35,200 or on a rose gold bracelet for EUR 60,600, you can find more information here www.breguet.com.